Disclosure Agreement: Review of Organicgirl was due to compensation from the company’s whose products were reviewed. We Dish Nutrition tested each product thoroughly and gives high marks to only the very best. Opinions expressed at We Dish Nutrition are our own. When one sets forth a long term goal, with the right amount of passion, resources and confidence, anything can be achieved. While this scenario can be applicable to various situations, I want to applaud Organicgirl’s team for their continued efforts in offering superb organic produce. The company’s name is fitting, as Organicgirl reflects the company’s mission to provide fresh, youthful greens. The production of quality products doesn’t stop with the supply of greens themselves, as the recycling program (R3)-return, recycle and reward reflects Organicgirl’s sustainability practices ! By returning romaine heart bags back to Organicgirl, the bags are used further production and consumers can obtain free produce by recycling! Can’t get much better than that! It is important to note, Organicgirl doesn’t ostracize men or boys, as everyone can and should enjoy healthy, sustainable produce. They also provide consumers the confidence needed to buy greens, with all products labeled washed3, signifying the product wasn’t washed just once, but THREE times! Recently, I had the pleasure of experimenting with Organicgirl’s spinach using Skinnytaste‘s Spinach Dip recipe. Happily, I was able to kill two birds with one stone. 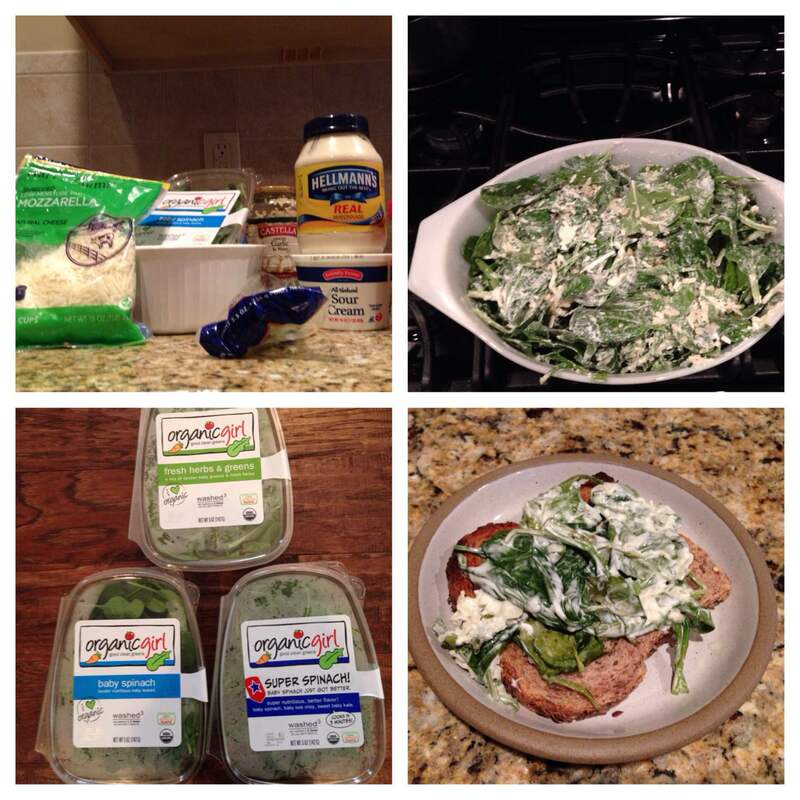 1) use Organicgirl’s spinach 2) make spinach dip! With such an easy recipe, in under 30 minutes, I was quickly able to enjoy the spinach dip, guilt free I might add! The recipe made 2 1/2 cups of spinach dip, being able to use the dip with my favorite crackers and even as a spread on toast. I continue to be impressed with Organicgirl’s quality products, with transparency in all facets of production and their continued stance on decreasing the company’s carbon footprint. To elevate their line of products, it’d be great if Organicgirl started providing its consumers suggestions of how to use the greens in recipes. Organicgirl does a great job of engaging its users across multiple social media platforms, asking consumers how they are using the greens, yet maintaining documentation of suggestions and unique uses of greens would encourage consumers to try different variations and products of Organicgirl’s greens. Organicgirl offers a variety of greens, more than just spinach, what Organicgirl greens do you find yourself picking up? What’s your favorite way to use theses scrumptious, sustainable products?